The purpose of this study was to assess the role of Competitive and Market Intelligence (CI/MI) Research as a potential source for improving the innovation capability of Small and Medium Enterprises (SME’s) leading to successful new product/services/processes/capabilities development (Cooper & Edgett, 2002). This report highlights the background, methodology and findings of this study. Canadian companies are facing significant challenges in new product development and commercialization. The result of the survey of the 1,091 Canadian inventors conducted by Astebro and Simon (2002) revealed that only seven percent of inventions reach the market. Inadequate market analysis, competitive strength and reaction, lack of effective marketing effort, and product problems are consistently cited as major reasons for both new product failure and serious delays in time-to-market. According to the Conference Board of Canada’s 5th Annual Innovation Report (Conference Board of Canada, 2010), for every 3,000 new raw ideas that emerge, only approximately 300 make it past the first “ self-screening” by the originator, 125 of those move to small projects, four to major development, one point seven to market launch, and one to market success. The failure rate of new product commercialization is very high. Customer and market input are critical at all points of the innovation continuum. Unfortunately, many entrepreneurs and inventors focus mostly on the product development and market launch activity (up to 76 % of time and money). The important tasks, such as the preliminary market assessment, detailed market study, preliminary technical assessment, and customer tests of products, pre-launch business analysis and the initial screening are often overlooked (Cooper, 2001) or poorly executed (Cooper, 2005). According to one of the most recent benchmarking “ user needs” studies, incorporating the voice of the customers, and a competitive analysis are omitted in 57 percent of the companies and given a very poor quality of execution rating - a dismal three point five on a scale of 10 (Cooper, 2005). The quality of execution of these activities is critical and makes a substantive difference in what makes a new product a commercial success. A benchmarking study of new projects in over 400 firms confirmed that successful projects had better quality of execution, conducted in the earlier part of the New Product Development process (Cooper & Edgett, 2002). Figure 1 depicts the top reasons for failure identified by Cooper (2002). Source: Cooper (2002, p. 28). Furthermore, a study conducted by Frost and Sullivan in 2009 found that poor understanding of customer needs, lack of competitive/market intelligence and research support to evaluate new product ideas, as well as budgetary constraints are the most serious challenges that Research and Development (R & D) executives face. 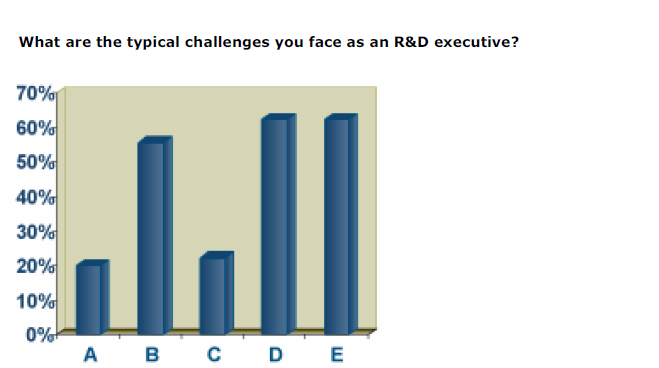 Figure 2 depicts the typical challenges faced by Research and Development Executives as identified by Frost and Sullivan, (2009). While past research has focused on firm age and size to predict survival of small firms (e.g., Dunne et al., 1989), other research such as that of Holtz-Eakin, Joulfaian and Rosen (1994), has tried to understand the effect of owner characteristics on the survival of the business. Other research such as Audretsch (1991), Audretsch and Mahmood (1995) studied the impact of underlying technology on the survival of small businesses while Astebro and Simon (2003) focused their efforts on studying the effect of innovation attributes on survival of innovations. It was the goal of our study to identify the impact of Competitive and Market Intelligence Research on early stage exits, product development and time to market as well as commercialization success rates of new products, thereby adding value to the new product development process and improving the innovation capability and survival of a firm. According to the Conference Board of Canada report (2010) on “ How Canada Performs” in comparison to other OECD countries, Canada has consistently received a D grade in Innovation and has been ranked 13th among the 16 countries ranked. While countries such as Switzerland, U.S., Japan and Ireland that have received high overall scores have developed national strategies around innovation, it is ironic that Canada with some great inventions and inventors, scores poorly on innovation. As the Conference Board points out, this is because Canada does not rely on innovation as much as its peers do. The Conference Board of Canada defines innovation as “a process through which economic or social value is extracted from knowledge - through the creating, diffusing, and transforming of ideas - to produce new or improved products, services, processes, strategies, or capabilities”. In reviewing the 21 indicators of innovation performance measures categorized under creating, diffusing and transforming ideas, it is evident that, while Canada scores high on the top three indicators of creation, namely scientific articles, top cited papers index, and Public Research and Development (R & D) spending, it scores poorly on most of the other indicators of diffusing and transforming ideas. To some extent, this is consistent with the challenge of having strong inventions but scoring poorly on innovation. However, it is important to emphasize the distinction between invention and innovation as a source of economic and social value. To illustrate this at a firm level, while Sony launched, with some success, a new invention, the “WalkMan”, as a portable music device 22 years back. Then MP3 players provided the facility to store a huge number of songs on a portable music device, and it was in 2001 that Apple “innovated” with design, ergonomics and ease of use to alter the music ecosystem, thereby creating significant economic and social value that dwarfed all previous achievements of other companies. Apple is well known for its in-depth knowledge of its customers known and latent needs and creating products to meet them. To address some of the problems related to increased time to market and new product failures identified earlier, Seneca Industry Innovation developed and implemented a novel approach and process for Market and Competitive Intelligence Research, a decision support tool for use in project evaluation, product design and development and commercialization. Since 2004 Seneca Industry Innovation assisted more than 250 Ontario Small and Medium Sized Enterprises (SME), funding agencies, provincial government and investors. SMEs generally do not have the resources needed to conduct innovation research. However, they are the major employers of college graduates, and because of their vocational relevance mandate, the colleges have a long history of strong relationships and partnerships with SMEs. For these reasons, the Ontario colleges are in a unique position to assist these important players in the Canadian economy, both in preparing a workforce able to contribute to the innovation agenda of their employers, and to assist with research as needed. We work with a variety of clients from diverse industry sectors and at different stages of the innovation continuum. Market and Competitive Intelligence Research has been used for improving the Research and Development process for revitalizing or modifying a product, benchmarking, getting potential customer input about their preferences and understanding the competitive environment. Competitive and Market Intelligence has also been used by our clients as a decision-support tool in the early stages of commercialization to identify market opportunities, evaluate the demand for new products, learn about market trends, screen the ideas and size up opportunities. In addition, it has been used by companies and investors in the later stages of commercialization to analyze the risk of investment, building sales and marketing strategies and the positioning of new product. Listed below are a few examples of projects that we completed. One of our clients, Unified Corporation, the Canadian manufacturer of refrigeration systems, was developing a new energy-saving system for commercial refrigerators. In order to make a decision on whether the investment in the new system research and development was viable, the company required Competitive and Market intelligence research to determine key competitors, their market share and the size of the market. Competitive Intelligence and Market Intelligence Research was conducted by Seneca Industry Innovation to help with decisions regarding viability of investments in research and development, evaluation of the effect of energy efficiency on the buying decision of commercial refrigeration units over the past several years as well as the company’s outsourced manufacturing plans. Another client, The Electric Tractor Corp. designs, assembles and markets the Electric OX series of small utility tractors. Seneca Industry Innovation provided the client with market intelligence research to gain a better understanding of the market size, growth potential, future market opportunities for lawn and garden tractors, sub-compact and compact utility tractors, industrial towing and forecast for the U.S., North America and abroad. This information provided key inputs for the business and strategic planning activities and direction for product re-designing and commercialization. The Seneca study sought to assess the impact of the Competitive and Market Intelligence Research service for its impact on enhancing the innovation capability as perceived by a purposive sample of SME clients consisting of all clients who had used the service between 2005 and 2009. Used as a decision-support tool, which area(s) of decision-making benefited from Competitive and Market Intelligence Research? What aspect of the functioning of the company benefited from the findings of Competitive and Market Intelligence Research? If there would be repeat use of the Competitive and Market Intelligence Research service by the respondent, what would be the primary application areas? What impact did Competitive and Market Intelligence Research have on the company’s decision-making? What was the level of satisfaction with the Competitive and Market Intelligence Research services received? The study was a mixed-methods exploratory descriptive research design based on both quantitative data and qualitative participants’ perceptions. Consistent with Creswell’s (2009) descriptions, the quantitative data provided an understanding of the frequency of variables assessed, while the qualitative data provided deeper insights into the perceptions of the participants. Of the 116 participants invited to participate in an on-line survey (Appendix B), 35 were SME clients who had received their Competitive and Market Intelligence Research reports, six months earlier. This time period of 2005-2009 was chosen so that the clients would have had enough time to have utilized the findings of the Competitive and Market Intelligence Research and experienced its outcomes so as to be able to respond credibly. The questionnaire (Appendix B) was administered electronically on May 31, 2010 by a third party, the College’s Office of Institutional Research and Planning, and the response report was generated on June 16, 2010. All 35 clients purposely selected for this study completed the on-line questionnaire and all had completed the Feedback Form (Appendix A) for a response rate of 100%. The data were collected by two different means: the Feedback Form (Appendix A) that is routinely sent to all clients upon completion of the service, and an online quantitative questionnaire survey (Appendix B) administered six months later. The “ Client Testimonials” included in the findings are those reported on the Feedback Forms (Appendix A) of the participants, and only those of the participants who provided their explicit consent at the bottom of the form. Frequencies and per cents of the quantitative data were calculated and reported in the findings. Themes were identified and analysed from the qualitative comments received. Although the problem situation addressed by the study is macro in nature, the study itself was micro in scope and was limited to exploring only one aspect of a potential solution. Because of the purposive selection of the participants, the findings cannot be generalised beyond the participants. However, the findings will be of interest and valuable to other SMEs who face similar multi-faceted challenges and to college programs that seek to assist them in addressing these. An extended study with a larger sized and randomly selected sample would need to be conducted to determine if the promising findings of the current study would hold true for other similar programs and clients. The findings are reported in relation to the response of the participants to the Research Questions that drove this study. Research Question #1: Used as a decision support tool, which area(s) of decision-making benefited from Competitive and Market Intelligence Research? Competitive and Market Intelligence Research was perceived to have provided numerous and a variety of benefits as a decision-making tool for the respondents who are from Small and Medium sized Enterprises. As to the two areas of decision-making that were identified most frequently as benefiting from CI/MI results, business planning was selected most frequently (by 57.1% of the respondents) and, gaining an understanding of its competitors was selected by 48.6% of the respondents. In addition, CI/MI research was thought to provide benefits to the clients’ strategy formulation and identifying trends efforts, with response frequencies of 34.3% and 31.4% respectively. Other benefits that the clients reported included inputs for their research and development efforts (22.9%) and inputs for improving sales and product design and development – both selected by14.3% of respondents. Based on the low response rate of 11.4%, the clients did not generally see that the research had contributed substantially to gaining investments for their company. Figure 3 depicts these findings. Research Question #2: What aspect of the functioning of the company benefited from the findings of Competitive and Market Intelligence Research? The responses to survey question 2 (Figure 4) support the findings in survey question 1 (Appendix B) in that 56.3% of the respondents reported they benefitted from an improved understanding of their competitors and the competitive landscape, and 43.8% benefited from having received valuable input for their strategic planning. And, probably as a result of this, a further 21.9% reported their R & D had benefited from having received inpu. Furthermore, 21.9% also felt they gained both a competitive advantage and input for their R & D as a result of CI/MI research. Eighteen point eight percent reported that the research provided input for commercialisation, and 12.5% reported improved products and services. However, none found the CI/MI useful for mergers or acquisitions. Research Question #3: If there would be repeat use of the Competitive and Market Intelligence Research service by the respondent, what would be the primary application areas? As depicted in Figure 5, the distribution of response frequencies to survey question 3 regarding areas where the respondents would most likely use CI/MI research in the future, suggest a sound understanding of its benefits. For 56.3% of respondents, preliminary market assessment would be why they would want to use CI/MI research in the future, whereas, for 50% of respondents, it would be to determine target markets and market entry strategy. Similarly, 50% would use it for business planning, which is consistent with the responses to survey question 1. Other areas that were consistent with responses to survey question 1 were the 40.6% response frequency for both understanding competition and for research and development as primary application areas for future use. Strategy formulation (34.4%), identifying trends (31.3%), understanding consumer needs and buying patterns (25%), and product design and development (15.6%) were other primary application areas for future CI/MI research cited by participants. The Feedback Form (Appendix A) provided an opportunity for participants to comment on the importance of CI/MI Research for SME clients. The CEO of Unified Corporation and participant in this study, provided the following assessment of the competitive intelligence service, “ It is imperative that any established or new business engage professional researchers, such as those at Seneca Industry Innovation, to provide a clear picture of the competitive landscape in which they operate” (Comment in the Feedback Form). Research Question 4: What impact did Competitive and Market Intelligence Research have on the company’s decision making? Participants were asked to rate on a five-point Likert-type response scale, ranging from no impact (1) to very strong impact (5), the impact of CI/MI research on their company’s decision-making. Just over half (51.7%; n=15) rated the impact as strong to very strong, and 24.1% rated it as very strong. Again, this is consistent with the earlier feedback. However, two respondents (6.9%) selected no impact as their response. Figure 6 reports these findings. The benefits referred to in his quote pertain to the early stages of the R & D continuum. Research Question 5: What was the level of satisfaction with the Competitive and Market Intelligence Research services received? Survey question 5 asked the respondents to rate their level of satisfaction with the service overall - again on a five-point Likert-type response scale, ranging from not satisfied (1) to very satisfied (5). Figure 7 reports the findings. It is noteworthy that 62% of the respondents were satisfied or very satisfied with the CI/MI research service they had received from the Seneca project - more than a third of whom were very satisfied. However, it was disturbing to see that 10.3% (n=3) were not satisfied. Unfortunately, the survey did not ask the respondents to clarify why they were or were not satisfied. The main themes identified in the written responses to the questionnaire survey were: (1) primary market assessment and evaluating commercial potential of products; (2) identification of target market and market entry strategy, and (3) application at the pre-commercialization stage of the R & D continuum. With a cumulative response frequency of 90.7%, preliminary market assessment (56.3%) and evaluating the products commercial potential (34.4%) clearly emerged as the two dominant reasons that the respondents would undertake CI/MI research in the future. This speaks to the perception of the value of CI/MI research in these applied areas. This is also consistent with what is identified in the literature, (e.g, Cooper, 2000), that is, the need for the SME’s to undertake upfront homework including market and competitive analyses, research on the customers’ needs and wants, concept testing, and technical and operations feasibility assessments leading to the preparation of a full business case prior to beginning serious development work. CI/MI research can potentially contribute to a reduction in new product failures, a problem confronting Canadian companies, as identified in the Conference Board of Canada report (2010) cited above. A cumulative response frequency of 75%, identification of target market and market entry strategy (50%) coupled with a superior understanding of the needs of the customers and their buying patterns and behaviours (25%) clearly speaks to the potential of CI/MI research in enhancing the innovation capability of SMEs. This would happen through improved product development as well as marketing efforts as a result of a better understanding of the consumer and the target market that would be catered to. This would directly address the problem of the lack of effective marketing efforts. Input for research and development with a response frequency of 40.6%, along with identification of trends with a frequency of 31.3% and input for product design and development with a frequency of 15.6%, would all be made available by CI/MI research, and would greatly contribute to the development of superior products/service/ processes/capabilities. Market and Competitive Intelligence services could be utilized as a decision-support tool, to assist with decision-making pertaining to project evaluation, product design and development, and commercialization. The third cluster of applications/uses that were perceived by the respondents to add the greatest value of CI/MI research and therefore might be a reason to undertake CI/MI research, are at the pre-commercialization stage of the R & D continuum. Business planning with a response frequency of 50%, strategic planning with a response frequency of 34.4%, and understanding of competitors, with a response frequency of 40.6% cumulatively have the potential to make a substantive positive impact on the commercialization efforts of an SME through informed, targeted and strategic decision-making. CI/MI research can lead to improved product development as well as targeted marketing efforts. This can play a key role in tackling the problems of new product failures and serious delays in time to market that have been attributed to poor marketing efforts (Cooper, 2000). Based on the findings above, CI/MI service has the potential to contribute to enhancing a company’s innovation capability by adding value at different stages of the research and development continuum, particularly at the early assessment stage as well as at a pre-commercialization stage. CI/MI research can lead to qualitative improvements in commercialization efforts. This, in turn, can contribute to a reduction in the high failure rate of new product commercialization, an ongoing problem identified at the beginning of this report. The author wishes to acknowledge the contribution of Dr. Maryna Bakuntseva who was the senior research analyst for this project. Audretsch, D. B. & Talat Mahmood, T. (1995). New-Firm Survival: New Results Using a Hazard Function. Review of Economics and Statistics, vol. 77, no. 1, February, pp. 97-103.
Cooper, R. G. (2001). Winning at New Products: Pathways to Profitable Innovation. Perseus Books. Cooper, R.G. & Edgett, S. J. (April-May, 2002). NPD: Practices The Dark Side of Time and Time Metrics in Product Innovation; Product Innovation Best Practices Series, Reference Paper # 16. Visions Magazine. DMA. Creswell, J. W. (2009). Research Design: Qualitative, Quantitative, and Mixed Methods Approaches. Sage Publications. Dunne, T., M.J. Roberts, & L. Samuelson,L. (1989). The Growth and Failure of U.S.	Manufacturing Plants. Quarterly Journal of Economics. vol. 104, pp. 671-698. Frost & Sullivan Inc. (2009). Growth, Innovation and Leadership eBulletin May 2009 Vol 2/Issue 2.